The body of this post will expand on the role of Phosphorus in the Brain and Body. Also provided are dosages for: Infants, Children and Adults along with a wonderful list of optimum food choices for Phosphorus. Learn about the different types of phosphorous and the areas of the body it services. To describe all that the brain requires to function optimally would occupy a book. For now lets look at an element that does not appear to be discussed much by the general public. Our thoughts and emotions require specific nutritional elements via pathways by the brain, one of which is Phosphorus. The fat lecithin, sodium chloride, potassium chloride and sulphate, all balance the mineral phosphorus in the brain. The result of any one of these nutrients found to be inadequate in the brain, promote the symptoms of nervousness, restlessness, sleeplessness, poor eyesight, neurasthenia, lack of common sense, poor memory, being forgetful, indecisiveness, insanity, unintelligence and so forth. Lecithin is a type of phosphorized fat that is a main brain food supply. All the individual brain centers require a certain type of food. For instance, lecithin found in soybeans cannot feed the brain, whereas the fat form of lecithin found in the raw egg yolk is one of the finest nerve and brain foods. Unfortunately cooking destroys this fat. 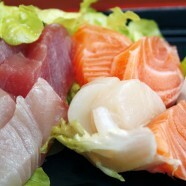 The brain consists of approximately 30% Lecithin and over 60 % long chained fatty acids such as those found in fish oil. Only animal sourced phosphorus can be utilized by the brain. It is a highly evaluated organ and requires the same highly evaluated form or phosphorus. Vegetable sourced phosphorus can feed and service the bones and other tissues, but not the brain. The type of phosphorus available to the brain if found in flesh food, such as meat, fish, fish roe, egg yolk, and dairy products. Phosphorus is a necessary compound for the production of lecithin in the body and brain. Lecithin is akin to fuel for the brain and lecithin is found in all cells of the body. Phosphorus is additionally essential for carrying out various functions in the body such as growth and cell repair. It accompanies calcium for strengthening bones and teeth and assists in managing proper heart health.